So, When To Harvest Cucumbers? But Why Are My Cucumbers Prickly? So, Is It Safe To Eat Prickly Cucumbers? 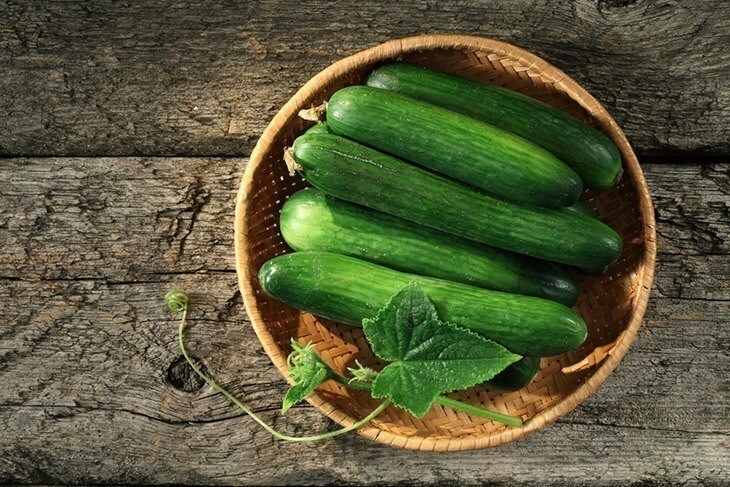 Not like other fruits, cucumbers stop to mature after picking. The fruits require an extended growing period and are ready to pick in fifty to seventy days. If you harvest ripe cucumbers at the exact time, rest assured that it will only give your throat a sweet taste.Harvest the fruit when you know it is already right in size (which is typically 8 to 10 days after the earliest female flowers open. You'll also know a cucumber is ready to harvest by its color, firmness, and size. When planting the vines, ensure to read the seed pack or plant label. It must consist of a precise measurement of how long the vegetables will get. Also, the seed pack or plant tag will indicate the number of days you can pick the cucumber after germination.The climate condition also affects the vegetables' growth rates, so you may find the harvesting period not exact. When you softly squeeze the cucumber, it must give you a firm touch, plus the color should be a good medium to dark green. The color depends on the type of variety you're growing. A yellowish or white shade may occur to some cultivars. It is best to pick the cucumbers as early and often as possible, so the vine will be encouraged to produce longer during the season. Do not allow the vegetables to become over ripe. Also, do not leave it on the vine for a longer period; otherwise it will develop a harsh taste. The cucumbers become fully matured at different times on the vine; hence it is important to harvest them as they're ready. 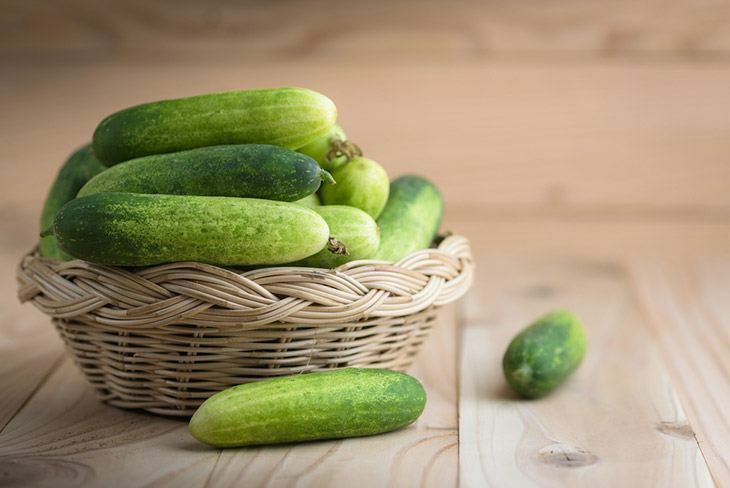 For those who are asking when to harvest cucumbers prickly for making gherkins or sweet pickles, they must be 2 to 6 inches long.Dill pickles are best to harvest when they're already three to four inches long. Burpless varieties are ideal for picking at 1 to 1 and 1/2 inches in diameter, while the slicing cucumbers should be harvested if it's already 6 inches, depending on the variety. You are likely to pick the fruits every day or two in the peak of the season. 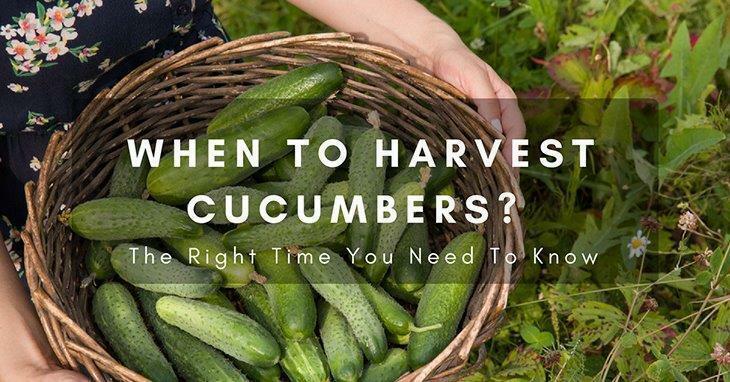 It is suggested to harvest it early in the morning when the vines are still cool.Now that you know the visual signs and scales of accurately picking the cucumbers, the next concern that may be arising into your mind is how to harvest the fruits. As mentioned above, it is ideal to check the fruits and harvest them in the morning. But in off-peak season, pick them every other day, so they will not get too ripe or too large. Those fruits that are past their maturity, not growing, undersized or have moldy ends should be removed. Use garden pruners or shears when picking the ripe fruits, do not bend and pull them off the vine. When picking the vegetables, leave a one-inch, small area of stem affixed to the cucumber. The purpose is to prevent the end of stems from rooting inside the storage space if you don't use them immediately. All you need to do is cut the fruits from the vine using pruners or sharp knife. Wear gloves, since some of these fruits are prickly. Remove the spines with a vegetable brush or a rubbing cloth. As you collect the burpless varieties of cucumbers, put them gently inside the box or container since they are prone to yellowing. If you are planting lemon cucumbers, make sure to pick them before they turn into yellow. 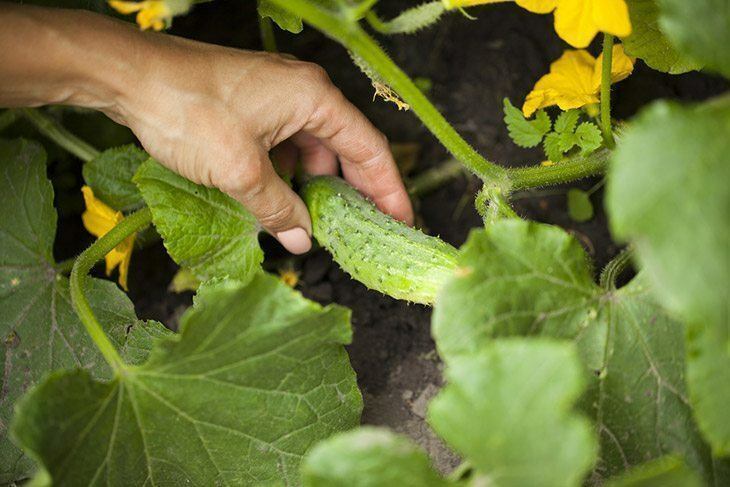 Do not wait until they start turning yellow because the cuke may become too seedy and give a pungent taste.With these guides, harvesting a ripe cucumber is relatively easy. You only need to bear these tips in mind knowing that you are already guided with the idea on whether when is the right time to pick the said fruits. Explore more: What Does Sage Smell Like: The Best Answer Will Surprise You! So, you've got a prickly variety of cucumber? There are various types of cucumber, and some are a bit prickly. Thus, it's a regular thing. Even though they are prickly, a perfect taste is guaranteed. Such a beautiful fruit creation! ​Cucumbers are widely part of the Cucurbit family, together with melons, squash, and pumpkins. They are categorized into two: slicing and prickling varieties. Some of the prickly cucumbers have small little hairs, while others are all out spines. It is believed that some cucumbers are prickly due to a reason similar to that of camouflaged animals or those with horns: to shield themselves from predators. The spines onto the fruits are not necessarily toxic. However, you may feel very uncomfortable eating them. Fortunately, there are healthy choices you can depend upon to enjoy the delicate taste of this favorite fruit. You may peel it if the prickles are on the large side. Those with tiny furry prickles can simply be washed. If the result is least as you expect it, you can make use of a vegetable brush for getting rid of these hairy prickles. 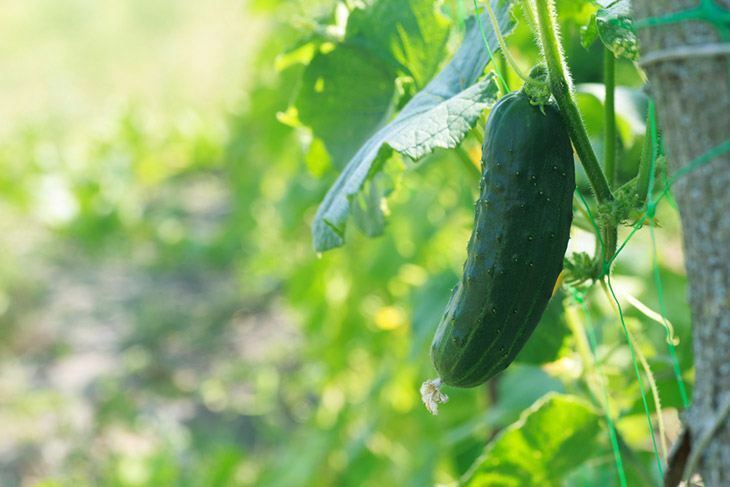 Harvesting cucumbers is an easy and fun adventure at the same time, providing you follow these simple tips and suggestions for your next harvest. Indeed, things will be a lot easier if you know when to harvest cucumbers. For those who love cucumbers, growing them in your garden could also be possible, and in fact, you will enjoy harvesting them at the right time. ​Enjoyed reading this article? May you found this post valuable in knowing when and how to harvest your cucumbers properly. Stay updated as we may give you other informative, helpful topics such as how to store tomatillos and how to store radishes. ​If you have any questions, please leave your comment below. Share this post with your friends, too! Have a fun, productive harvest!